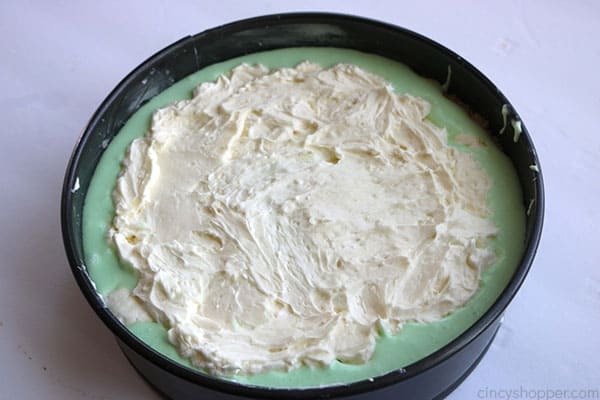 You will want to serve this No Bake Lime Cheesecake for your next summer potluck or BBQ. 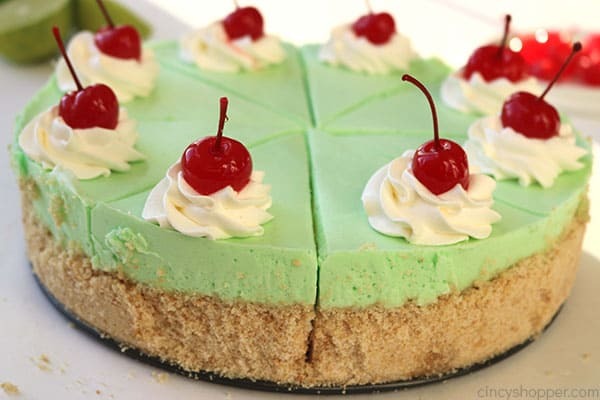 It starts with a Nilla Wafer crust, then creamy layers of lime cheesecake. Super easy and so refreshing! 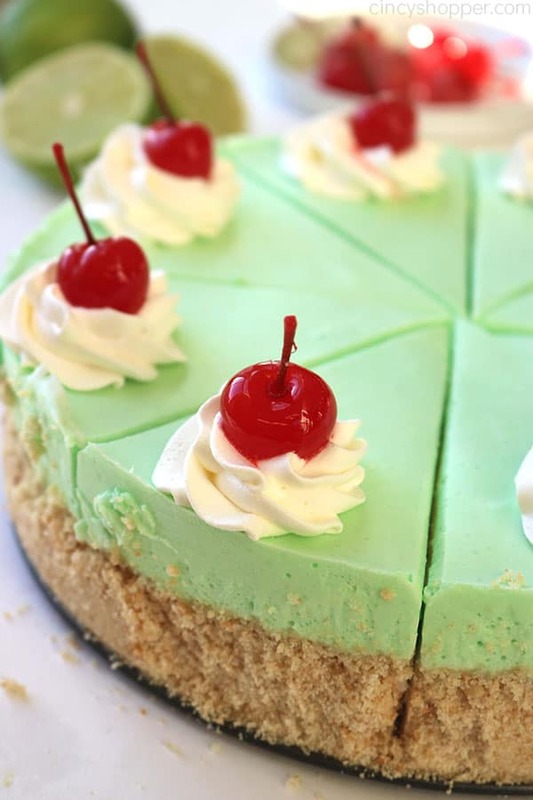 If you are a fan of easy cheesecakes, this recipe is for you. It’s very similar to my No Bake Orange Creamsicle Cheesecake and also the No Bake Raspberry Cheesecake that I have posted here on my blog. The only difference you will find is the flavor of the JellO. No baking required desserts are always great especially during the summer months — no need to turn on the oven. 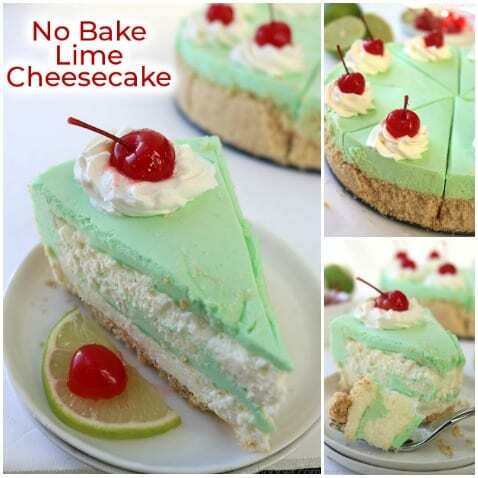 No Bake Lime Cheesecake is perfect for that reason. In just a few minutes you can have this super tasty dessert chilling in the fridge without sweating yourself out of the kitchen. 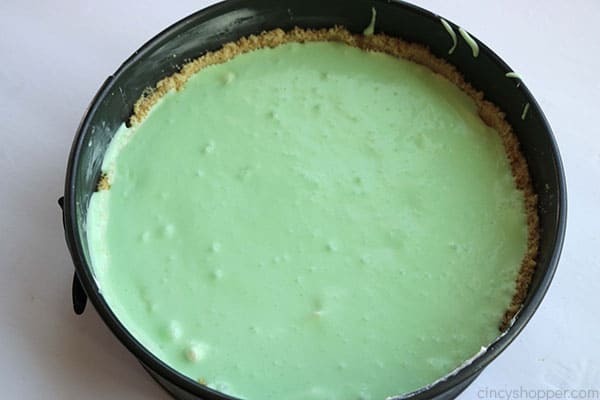 This Lime Cheesecake starts with a Nilla Wafer Crust. 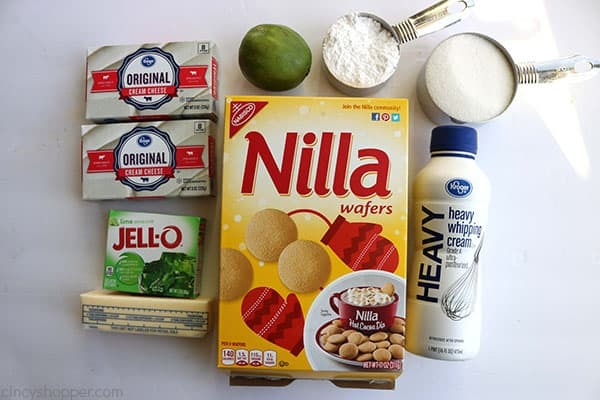 I like that the wafers add a bit of vanilla sweetness that pairs so well with the lime. 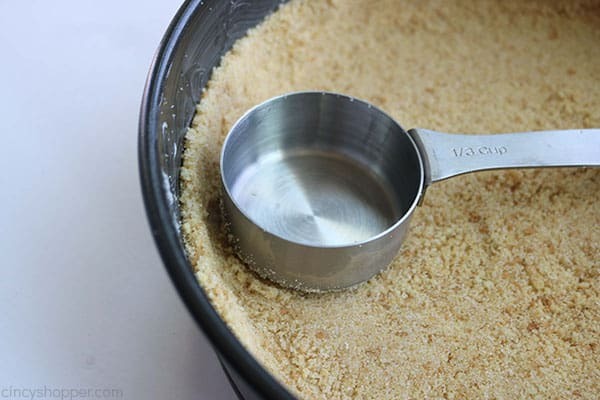 If you would prefer a graham cracker crust, I say go for it! It will not overly change the cheesecakes flavor profile. 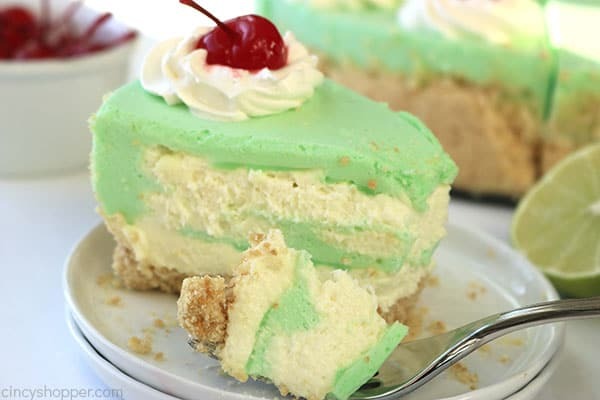 I have a couple of easy to make layers in this cheesecake. 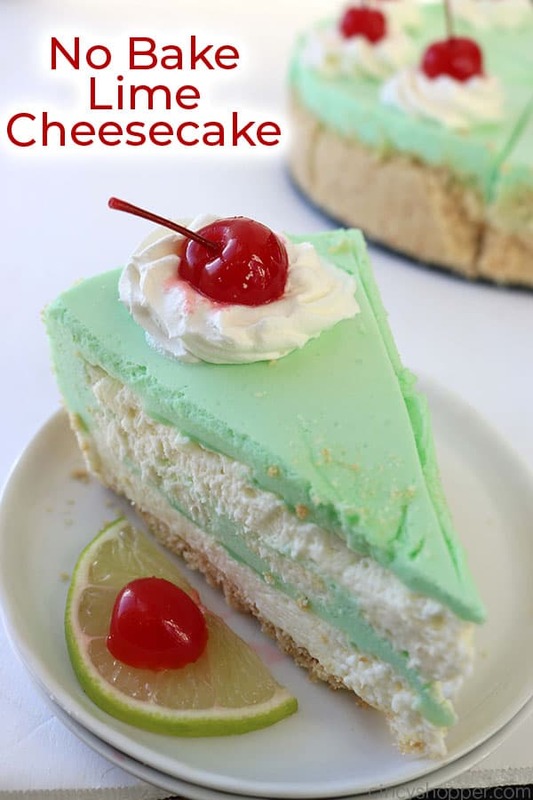 They consist of a mixture of plain creamy cheesecake and lime flavored from Jell-O cheesecake. You could certainly make this one with two simple layers, and the results will be the same. I prefer to have a couple of lime layers. 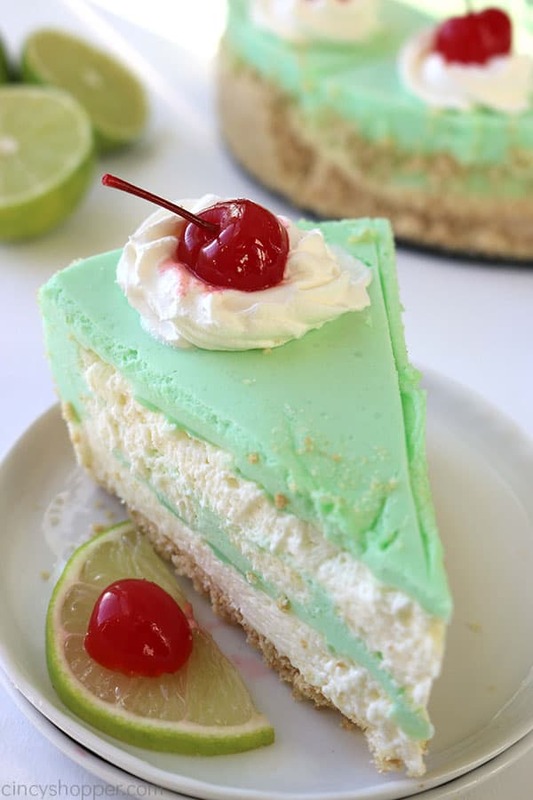 Key Lime Pie – simply delicious! 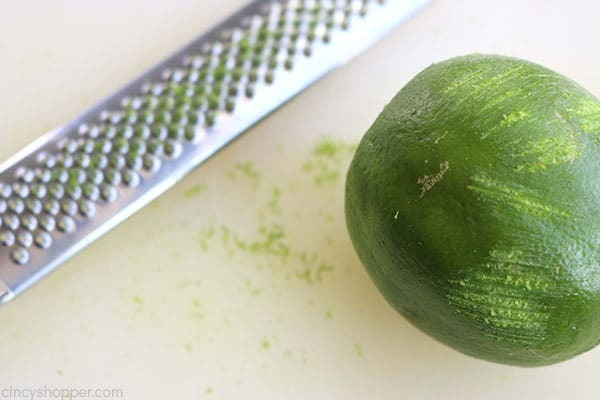 4 Ingredient Lime Sorbet – a cold treat that is perfectly flavored. 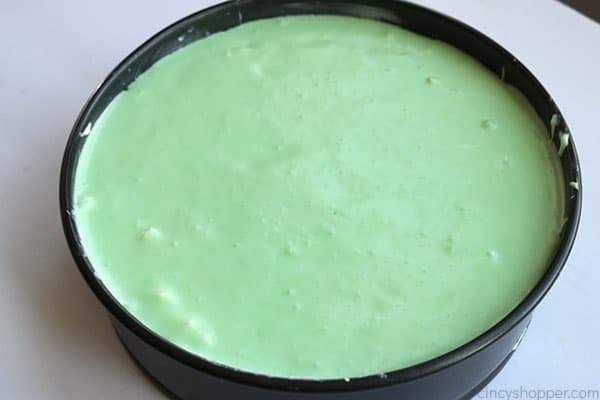 Easy Lime Cake – so super simple. Pulse vanilla wafers in food processor until finely chopped. 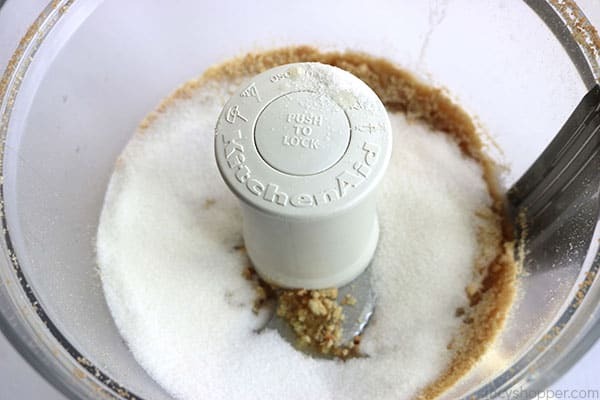 Add 3/4 cup sugar and the melted butter. Press mixture firmly into bottom and slightly up sides of the pan. 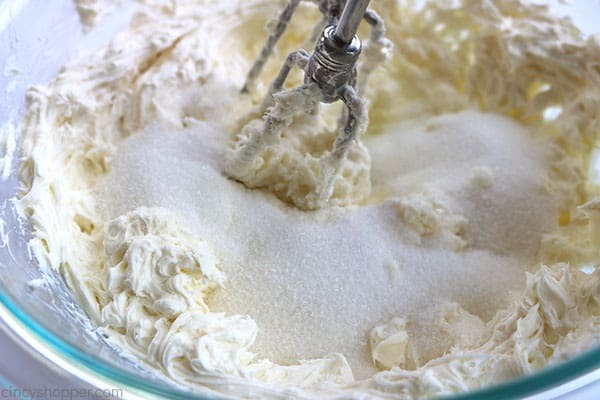 Beat cream cheese and remaining sugar until well blended. In a medium bowl, combine the gelatin and boiling water. Whisk until the gelatin is dissolved. Set aside. Zest a lime and set aside. 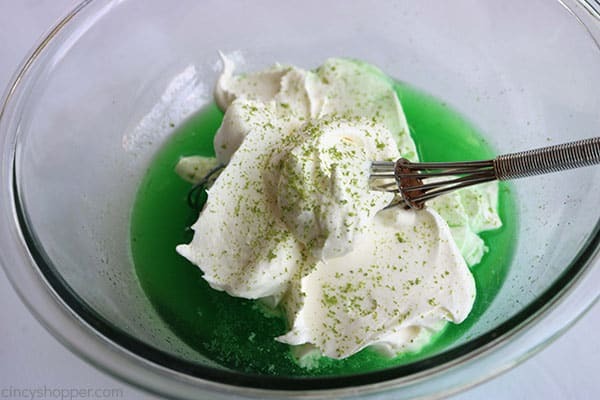 Add half of the whipped cream mixture to cooled gelatin and add the lime zest. Whisk until blended. Set aside. 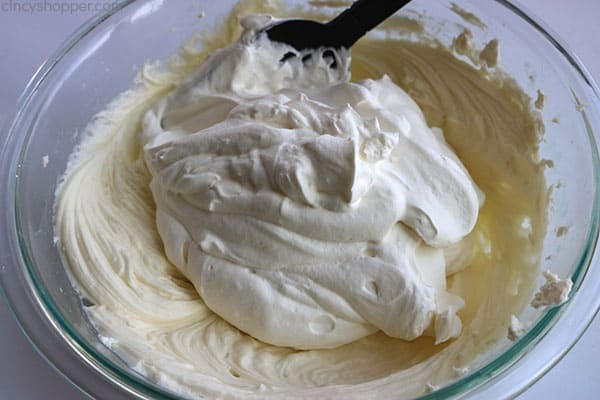 Pour 2 cups of lime whipped cream mixture over cream cheese mixture. Gently spread remaining cream cheese mixture over lime mixture. 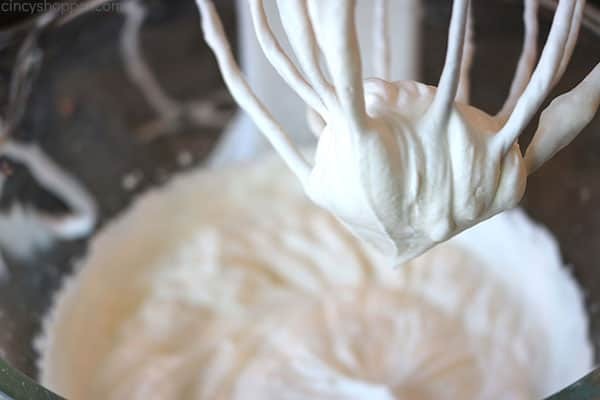 Pour remaining lime whipped cream mixture over plain cream cheese mixture. Heavily grease your springform pan. This process will help when releasing the ring from the insert. 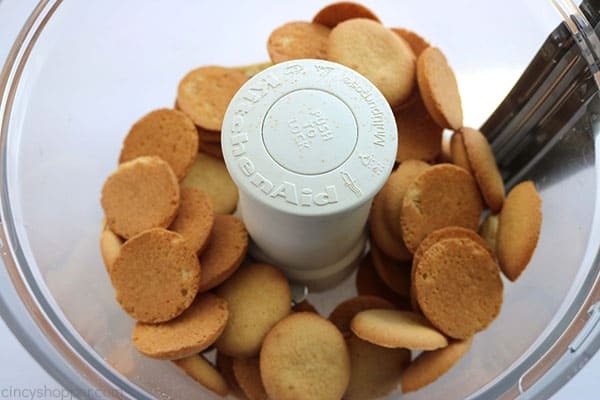 Use a food processor to crush your Nilla Wafers if you have one on hand. You can most certainly break them by placing in a zipper bag and crushing but, the method will take a bit more time. 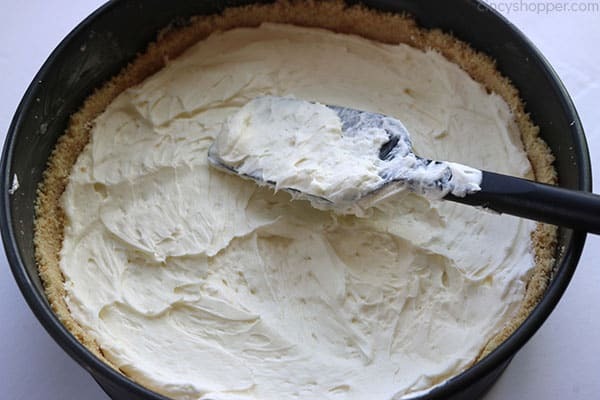 Be sure to let the cream cheese soften entirely before making your filling. 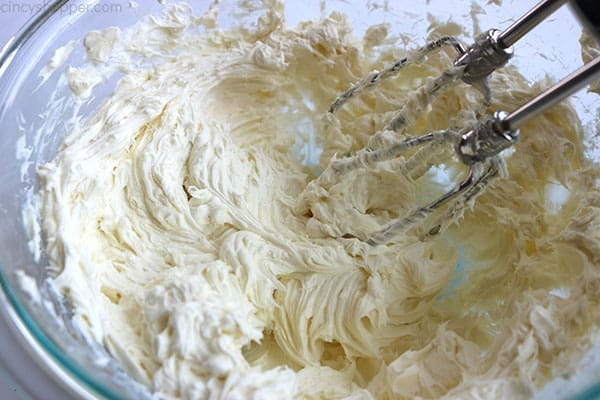 If you accidentally use hard unsoftened cream cheese, the mixture will not become creamy enough in texture. Refrigerate the cheesecake for at least 6 hours, longer if possible. 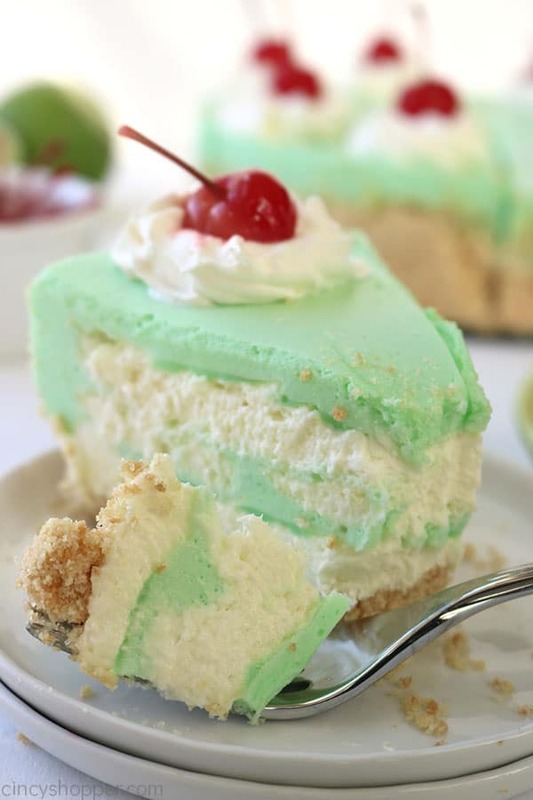 If you feel that the cheesecake is not set up, toss it in the freezer and allow it to freeze. Garnish with additional whipped topping and cherries as I have. You could also garnish with fresh lime slices or even some nuts. Looks delicious! 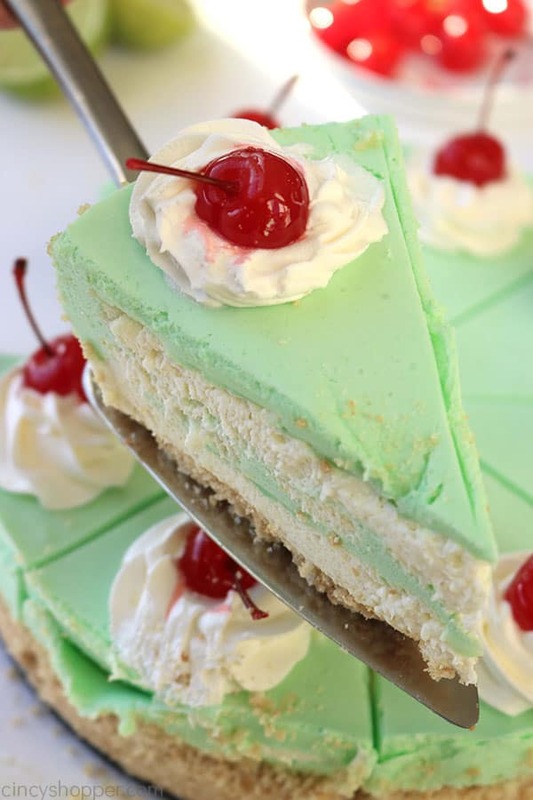 And the light green color is perfect for an Easter or Spring party!